The perfect summer treat full of flavor and topped with rich frosting. 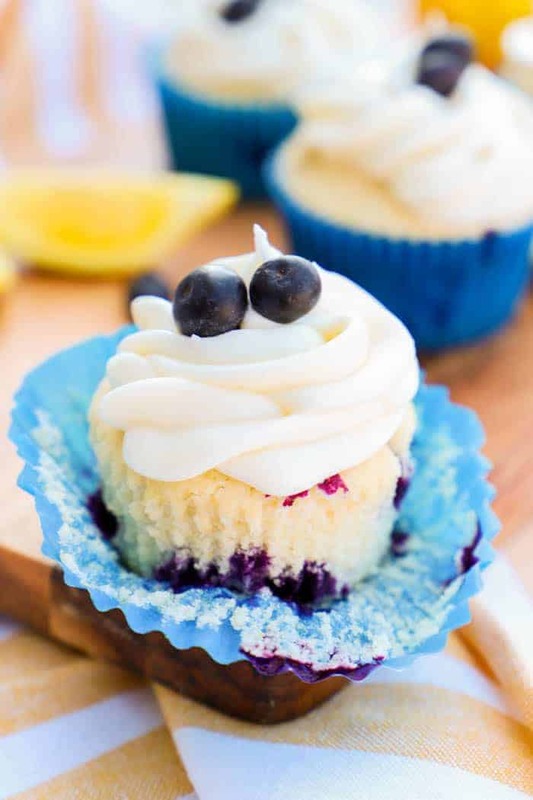 These Blueberry Lemon Cupcake are easy to make and a recipe I think you are going to love. Blueberry and lemon is one of my favorite flavor combos for the summer time. 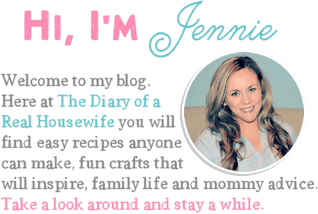 If you love it as much as I do then check out my recipe or a Blueberry Lemon Loaf next. We love the spring and summer time and all the fresh fruit. My boys could eat berries all day long and baking with them is even better. 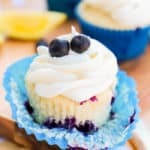 These Blueberry Lemon cupcakes are perfect for spring and summer. 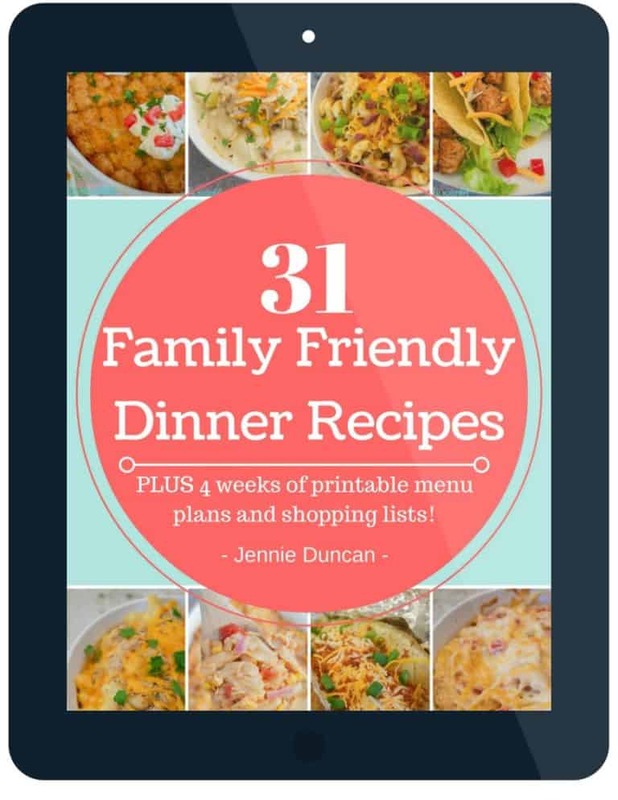 I make them for just about every get-together or BBQ we have and they are always a hit! Plus they are so simple to make which is always a win in my books. Step one: Start by preheating your oven and then preparing your muffin tin with paper liners. Step two: Next cream together butter, sugar, and lemon zest. I used my stand mixer but you could also use a large bowl and a hand mixer for this. Cream it until well combined. I left mine on for about 3-4 minutes. It should be light in color when ready. Add in eggs one at a time and then vanilla continues to beat for another 2-3 minutes. Step three: In a separate bowl mix together flour, baking powder, and salt. Slowly add these dry ingredients into the wet in your mixer. Alternate adding dry ingredients and buttermilk until combined. Step four: Last fold in blueberries with a spoon or spatula. You don’t want to mix them in using your stand or hand mixer. Then pour batter into prepared muffin tin and bake cooked through and a toothpick comes out clean. Butter – I used unsalted to keep the frosting sweet. You will want to make sure your butter is softened to room temperature. Cream Cheese – 1 block that is also softened. Powdered sugar – also known as confectioners’ sugar. Preheat oven to 350 degrees F. Prepare muffin tin with liners and set aside. 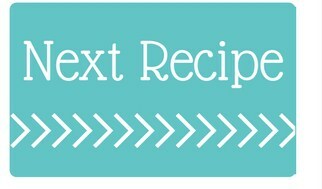 In a stand mixer (or in a large bowl using a hand mixer) cream together butter, sugar, and lemon zest. Cream until well combined (about 3-4 minutes). Add in eggs one at a time and then vanilla continues to beat for another 2-3 minutes. In a separate bowl mix together flour, baking powder, and salt. Slowly add these dry ingredients into the wet in your mixer. Alternate adding dry ingredients and buttermilk until combined. 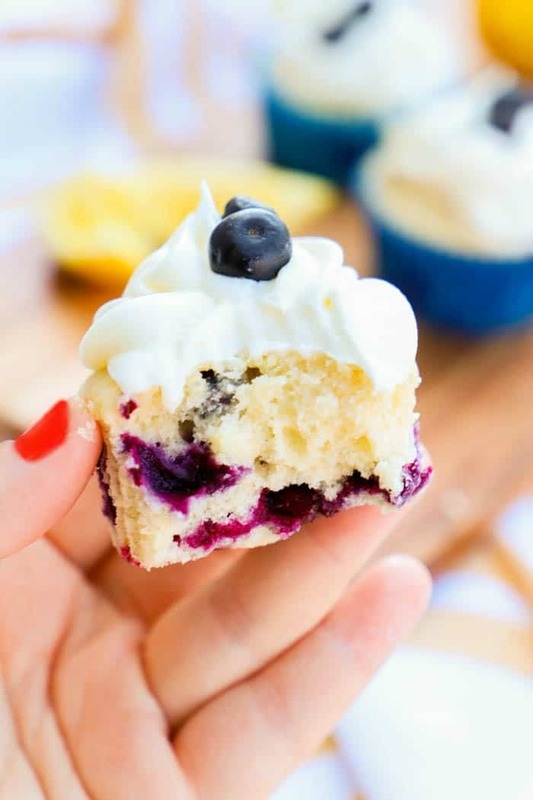 Fold in blueberries and pour batter into prepared muffin tin and bake for 15-20 minutes or until a toothpick comes out clean. Cream together butter and cream cheese stand mixer. Slowly add in powdered sugar, lemon juice, lemon zest, and vanilla. Mix together until creamy and well combined. 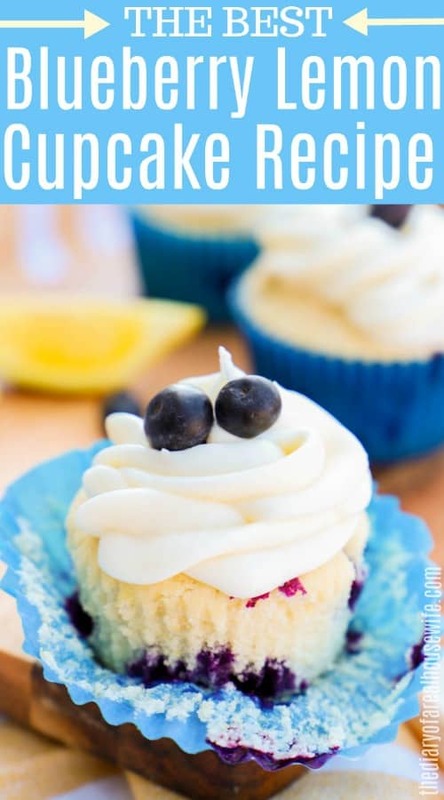 (Optional: add milk for a thinner frosting). Pipe onto cooked and cooled cupcakes.